This lovely 3 bed, 2 bath villa with private screened pool (south-facing) is located in the peaceful community of Creekside only minutes to shopping and restaurants off the famous 192 and Bass Rd, so also very close to Disney. Our home has a master bedroom (with TV!) with queen size bed and with a master bath (separate shower and bath), the second bedroom (with TV!) also has a queen size bed and the third bedroom has two twins. So the house sleeps comfortable up to 6 guests. 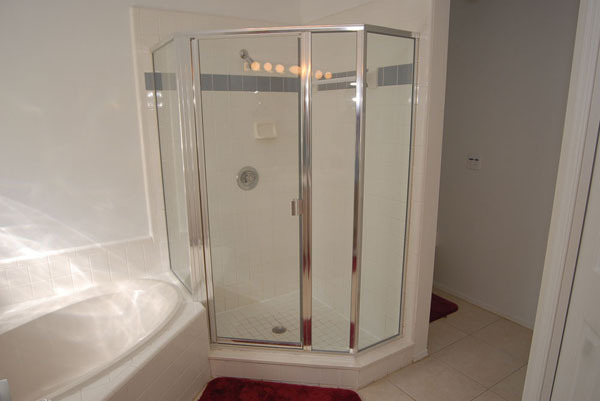 Between the second and third bedroom, there is the second bathroom (combined bath-shower). In May 2015 we redid the entire floor of the kitchen, living room and master bedroom. The existing tiles and carpet has been replaced with a brand new tile. Only bedrooms 2 and 3 have carpet anymore. This carpet was renewed late 2014. Our kitchen is fully equipped and seats up to 6 guests. 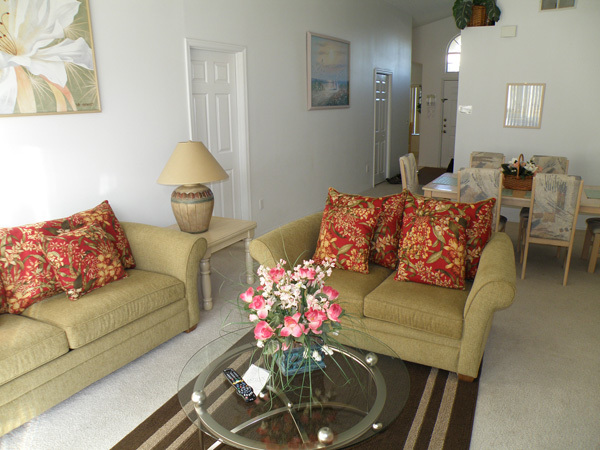 Our living room is airy and comfortable, has new couches and looks out to our beautiful private screened in pool. 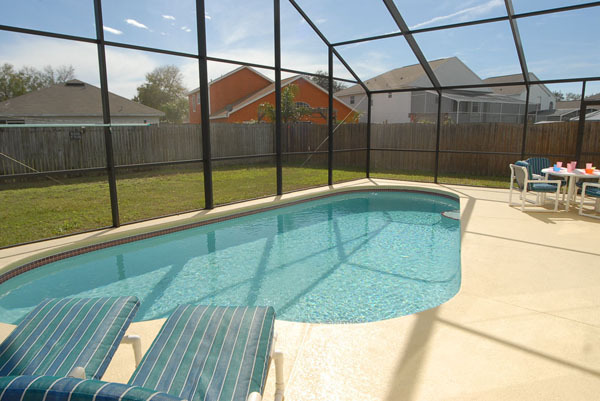 The pool can be heated during the winter months or when needed. Our home has full cable TV, high-speed internet access (wi-fi), a safe and free unlimited calling within North America. Serving happy guests from Europe and America over 6 years now! Creekside is only twelve minutes away from Disney, one of the area's quietest and most attractive communities of Florida villas, yet still close to all area attractions and amenities. Creekside has been described as one of Central Florida's best-kept secrets. Unlike many rental home locations, it is a spacious tree-lined mature residential community. the resort is in a fantastic location with shops and Restaurants are only a few minutes drive away. And when you're not out and about Creekside Villa has all your home comforts including free wi-fi internet connection and local and national calls. 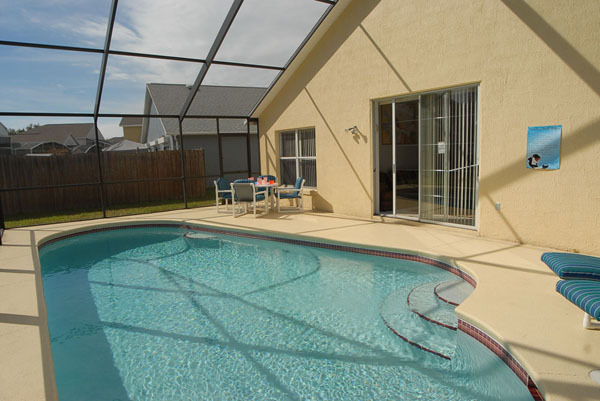 Orlando4Villas opinion,Creekside Villas offers much for the family coming on vacation to the Orlando / Kissimmee area. The community is ideally situated with Wal Mart 24 hour Superstore just round the corner, and the World's #1 attraction, Disney World only 10 minutes away! Sea World and Universal Studios are 20 minutes by car as is Orlando International Airport, fantastic location for the perfect family holiday. Sanford Airport is just under one hour away. 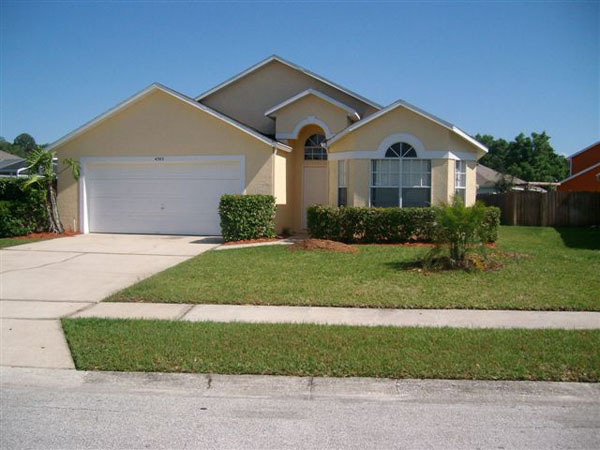 Orlando4Villas has the large selection of vacataion homes available for rent in Creekside Villas.